This review was originally published here by FrontPage Magazine. 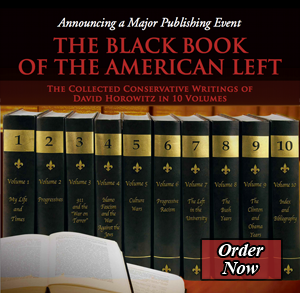 Why doesn’t David Horowitz give up? That question will occur to most readers well before they reach the end of his new book. Reforming Our Universities: The Campaign for an Academic Bill of Rights (Regnery, 2010) is a narrative of frustration, disappointment, resurgent optimism, further defeat, and finally the rescuing of small consolation from the wreckage of high hope. For his trouble, Horowitz endures vilification piled on calumny; gets to see his olive branches to the academic Left treated as though they were curare-tipped arrows; and secures the support of allies that range from faint-hearted Chihuahuas to politically clueless puppies. So why doesn’t Horowitz give up? For the publication of this volume is ample proof that he hasn’t. And though Horowitz has much to complain about, Reforming Our Universities seems untouched by self-pity. He has indignation to spare, but the spirit of this narrative of his six-year campaign to persuade American universities to embrace fair-minded intellectual inquiry is the spirit of undaunted determination. The “Academic Bill of Rights” itself is a 400-word eight-point list that is so blandly wholesome it could also be printed on the side of a grass-fed organic milk carton. Who would really object to universities hiring faculty members “on the basis of their competence and appropriate knowledge in the field of their expertise,” (article one) committing themselves not to exclude people on the basis of their “political or religious beliefs” from tenure and search committees (article two)? Who would think it seriously amiss to declare, as article three declares, that students “be graded solely on the basis of their reasoned answers and appropriate knowledge of the subjects and disciplines they study, not on the basis of their political or religious beliefs”? Those aren’t rhetorical questions. The American Historical Association adopted a unanimous resolution, January 9, 2006, condemning the “so-called” Academic Bill of Rights on the grounds that it would transfer important academic decisions to “government authorities and other agencies,” “violate academic freedom,” and “undermine professional standards.” That is a highly imaginative reading of the document that Horowitz was promoting. The Academic Bill of Rights says nothing about changing the locus of decision-making authority; and it leaves traditional notions of academic freedom and professional standards intact. The AHA condemnation was but one cobble in the fusillade. The Modern Languages Association and the American Library Association made similar pronouncements. Other organizations engaged in even greater belligerence. The American Association of University Professors (AAUP) and the American Federation of Teachers (AFT) undertook what can only be called campaigns of systematic calumny against both Horowitz and the Academic Bill of Rights. At the center of these campaigns was the attempt to depict Horowitz as a fabulist and a liar who had simply invented the stories he used to illustrate why students need to have some recourse when their professors substitute ideological indoctrination for disciplined inquiry. Horowitz became vulnerable to this charge because he sought the testimony of students who had had first-hand experience with thuggishly ideological professors. An honors student at Georgia Tech, Ruth Malhotra, for example, suddenly started receiving Fs and was forced to withdraw from a public policy class after she revealed to the professor that she was attending the Conservative Political Action Conference. With Horowitz’s help, Malhotra brought her case to the public, and the University, which had initially sided with the professor, backed down. The course was reassigned to anther instructor and Malhotra finished it with an A.
Reforming Our Universities is chock-a-block with this kind of detail and Horowitz has the wisdom to report it without much in the way of expostulation. This is a story about the petty lies and misrepresentations on the part of partisans of the academic left adding up to an Appalachian Trail of Deception. Eventually the attack on the Academic Bill of Rights was probably better known to most academics than the bill itself. It got the rap of being some kind of trick whereby state legislatures would muscle aside faculties to impose “affirmative action for conservatives.” If this were indeed Horowitz’s intended trick, he ought to have changed his name to Houdini. There really is no plausible reading of the Academic Bill of Rights that bears this interpretation. A document that begins by declaring that no faculty member should be hired, fired, promoted, or granted tenure on the basis of “his or her political or religious beliefs” is simply not a mandate for hiring conservatives to the faculty or displacing liberals. In other words, bad faith. Horowitz’s opponents never defend those practices openly. Rather, they deny such practices exist and characterize the Academic Bill of Rights as “a solution in search of a problem.” The AAUP under its current president Cary Nelson has been exceptionally duplicitous in this fashion. Nelson is candid about his Marxist orthodoxy, including his belief that everything is fundamentally political and that there is no reason why the classroom shouldn’t enjoy the benefits of being a stage for progressive activists attempting to win converts to their cause. But this isn’t the AAUP’s argument when it puts on its Sunday clothes and goes over to the state house to lobby. In that setting, it is a Puritanical upholder of the divine law of academic freedom. “Academic freedom,” of course, can mean many things, and the AAUP has been busy in the last few years turning it into a “head-I-win-tails-you-lose” doctrine. Heads, it is my intellectual freedom to bring politics into the classroom; tails, don’t you dare try to bring your politics into my classroom. Horowitz surely has the right answer here, or at least a large part of the right answer. Academic freedom is about searching for the truth and requires disciplined even-handedness when dealing with matters that “reflect the uncertainty and the unsettledness of all human knowledge” in the humanities and social sciences. We achieve that by “providing students with dissenting sources and viewpoints where appropriate.” That’s an eloquent summary of the disinterestedness required of fair-minded teachers—and it is from article four of the Academic Bill of Rights. Horowitz did, of course, find friends and allies along the way. Legislators in Colorado, Ohio, Pennsylvania, and Georgia took an interest. Some introduced bills that encouraged colleges and universities to adopt Horowitz’s proposal. He also got support from a handful of university officials and trustees around the country, and some support from the leadership of organizations that promote reform in higher education, including the National Association of Scholars. Steve Balch, the chairman of NAS testified to the Pennsylvania legislature in favor of The Academic Bill of Rights. But Horowitz understandably registers disappointment with conservatives, libertarians, Republicans, and higher ed reformers of all stripes. In his view they have made the case many times over that American higher education is sunk in a mire of political correctness. But the reformers seem to do little beyond complain and try to fix things at the margins. Why did they make themselves so scarce when a forthright and powerful instrument of reform was put on the table? And for the few who came forward, why were their efforts so faint? The indictment of the mainstream conservative movement and the Republicans is clear-cut. They both essentially ceded higher education to the political left and the teachers unions a generation ago and rarely can work up interest on anything other than the cost of tuition and the mismatch between college credentials and the needs of industry. To be sure, those are important matters in their own right, but by focusing exclusively on them, the Right has given enormous power to the Left to shape the worldview, the attitudes, the dispositions, and even the ignorance of generations of Americans. Horowitz is an alarm clock trying to rouse the Right from its cultural torpor. He is an alarm clock that will not be heard by some, however, simply because he is so alarming. Horowitz talents for sharp-eyed observation, pithy pronouncement, and provocative framing make him awkward company. Even people who agree with his ideas shy from being his battle companion, partly for fear of errant missiles but also out of need to draw their own distinctions and plan their own moves. Horowitz more or less understands this and there are some rather sad moments in the book when he acknowledges that he is most successful when he can erase himself from his own projects. On reading Reforming Our Universities, I am persuaded that The Academic Bill of Rights didn’t get a fair hearing, but I am less certain about what comes next. I know a good many members of the National Association of Scholars were queasy about it, probably on the mistaken grounds, promoted by the incessant AAUP propaganda, that it was a call for government control and a demand for politically-motivated hiring of conservative scholars. Even if those misimpressions were cleared away, however, Horowitz and other proponents of the Academic Bill of Rights would have to find a new point of departure. I don’t doubt that he has one in mind.